I can provide detailed Employment Law training sessions for all levels of management to ensure an accurate appreciation of the obligations placed upon the business and the entitlements of the employees within the business. The sessions are undertaken in an interactive manner taking real life examples into consideration. 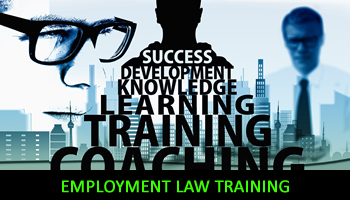 To discuss any requirements for employment law training within your business please give me a call on 07850 208701 or email me on rcwhrsolutions@talktalk.net noting your contact telephone number and I will come back to you as soon as I possibly can.